We have just completed a new project at Sylvan Solace Preserve aimed at reconnecting tech-savvy visitors to nature. We have installed a seven-point QR code “learning point” trail. 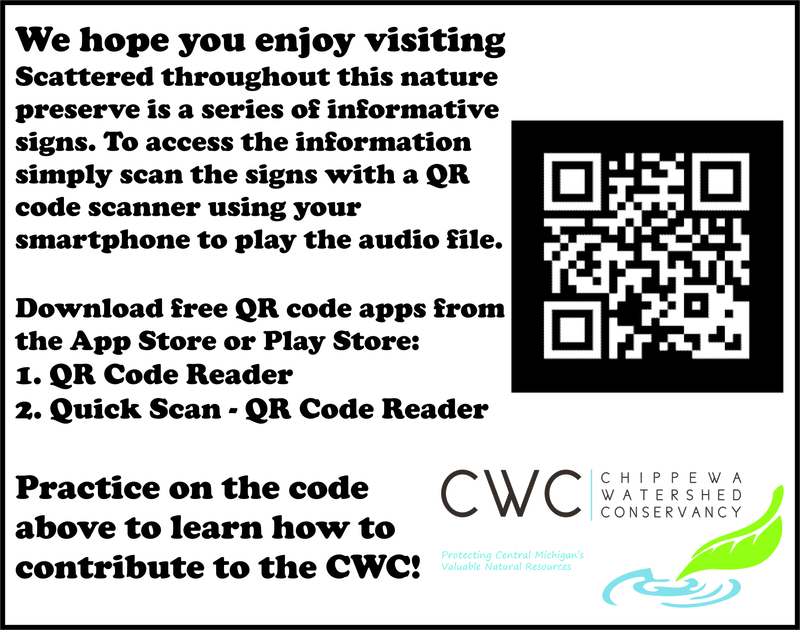 Visitors who encounter the new learning points may simply scan the QR code on the sign using a smartphone to play a short audio clip and learn about various topics relative to the preserve! 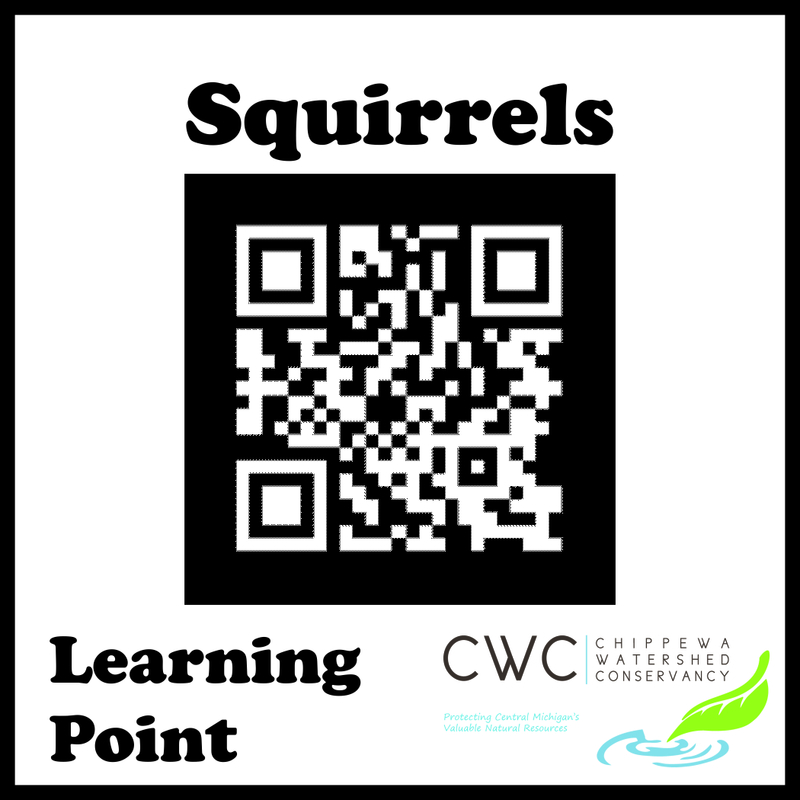 Our initial topics range from squirrels to the Chippewa River to several tree species and more. The learning points are installed on 4 x 4 posts located along the main loop trail between the parking area and the river. If you try this new feature, please let us know what you think. 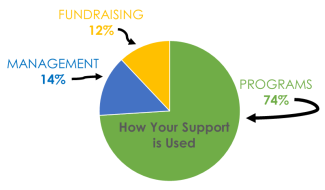 If feedback is positive, we have plans to add more points and expand the project to other preserves. You can download free QR code scanners from both the App Store and Google Play Store. Thanks to our student intern, Jonathan Breithaupt, and a crew of students from Central Michigan University for help with the installation as part of their Earth Week service activities.